modification, or unauthorized destruction of the Data. information, please contact the Data Controller. The Data concerning the User is collected to allow the Owner to provide its services, as well as for the following purposes: Access to third party services’ accounts, Analytics, Interaction with external social networks and platforms, Content commenting, Contacting the User, SPAM protection, Remarketing and Behavioral Targeting and Displaying content from external platforms. By default, this includes certain User’s Data such as id, name, picture, gender, and the user has made more of their data public, more information will be available. Permissions asked: Insights, Likes and Share. IThe User’s Personal Data may be used for legal purposes by the Data Controller, in Court or in the stages leading to possible legal action arising from improper use of this Application or the related services. Order online for Delivery. 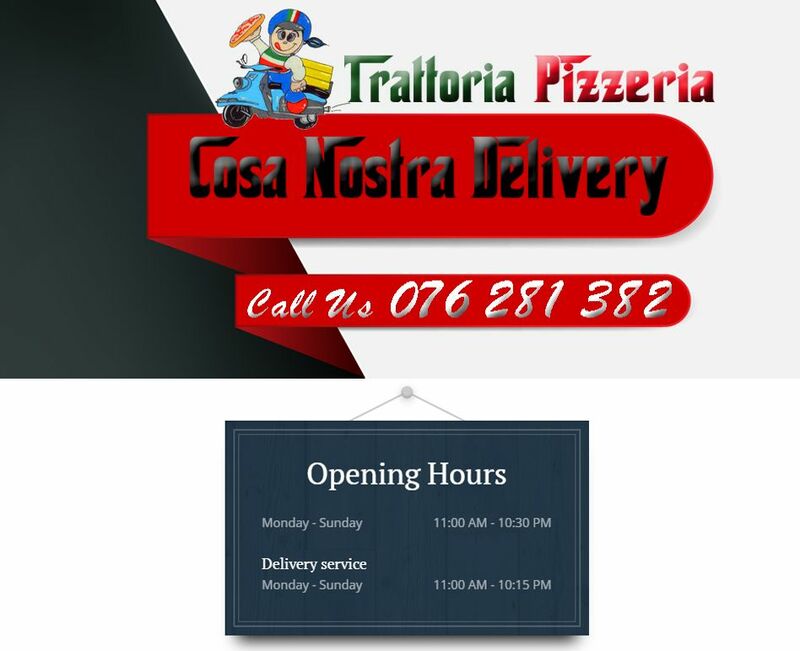 Here at Trattoria Pizzeria Cosa Nostra Delivery - Phuket. You'll experience delicious Italian, Pizza, Pasta, Sandwiches cuisine. Try our mouth-watering dishes, carefully prepared with fresh ingredients!